The heated debate that has followed in the wake of TTP’s offer to negotiate with the state through a negotiation committee now occupies much media space. However, what is sometimes missing is analysis of trend line of such negotiations, which are not the first in the history of conflict between militants and the state in the wake of 9/11. Recourse to the counterinsurgency (COIN) literature may shed some light on this scenario. It is generally held that concessions to the nationalist grievances prevalent in the terrorists’ community have the potential to reduce popular support for further terrorism, making further indoctrination difficult. It also improves the standing of more moderate nationalist elites who are in competition with the terrorists. This is only possible, however, if concessions provide remedy to genuinely held grievances, and the approach is non–incremental and holistic. However, concessions given to militants present a more complicated picture, especially when the learning curves are steep , as for a developing country like Pakistan which has had to grapple with terrorism far larger in scale to its resources in a relatively short time. Thus, certain mistakes are to be expected, and these have been initially made. A typical pattern of radicalization and subsequent COIN response by the state is visible. Militancy would take root in a village or a small region, and little or nothing would be done in response by the local administration to resist it. Then, when the problem escalated, there would either be a military operation which would cause a blowback, or negotiations would ensue. The tendency was to allow partial, incremental, or deliberately staggered concessions that have dragged out over a substantial period of time, adding to the malady instead of relieving it. Such compromises may appear (or be portrayed by antagonists) as delaying tactics, and thus fail to address the concerns of the communities in which terrorists operate. Thus, when people in tribal areas and Swat wanted development measures, they instead saw what they could have perceived as pandering to the militants by allowing Sharia courts. This incremental approach provided time and opportunities to the terrorists in the short term: they could re-radicalize their own community and actually escalate their long- and medium-term efforts. This is borne out by the COIN impact column of the Table which shows the dismal response to peace deals offered by the state. Even when a settlement projected as an effective one was negotiated with the Taliban, they have tended to continue attacks. Concessions seemingly create an ‘expectation threshold’, and the rational, strategy making leaders of TTP have perhaps capitalized upon it. It makes sense that TTP have a rational decision making command and control structure. If terrorism in Pakistan were mainly irrational or even disorganised, a more incoherent pattern would emerge in which either political goals are not properly articulated, or the stated goals varied considerably even from within the same group, which would belie a fragmented command and control structure. This is not what we are currently seeing in Pakistan, where goals are stated (such as the enforcement of Sharia courts), and timelines for repercussions are laid down if those goals are not met. During that time, pending the breakdown of talks or initiation of military action, ceasefires are generally adhered to. It needs to be remembered that, historically, COIN campaigns have almost always been more costly, more protracted and more difficult than initially anticipated at the planning stage. This may have prompted the Pakistani state to opt for negotiated settlements instead of going for an outright military solution. It must be said that military operations in Pakistani conflict areas are not easy – due to the ideological and physical proximity with Afghanistan, entrenched kinship, tribal bonds, and hostile terrain. 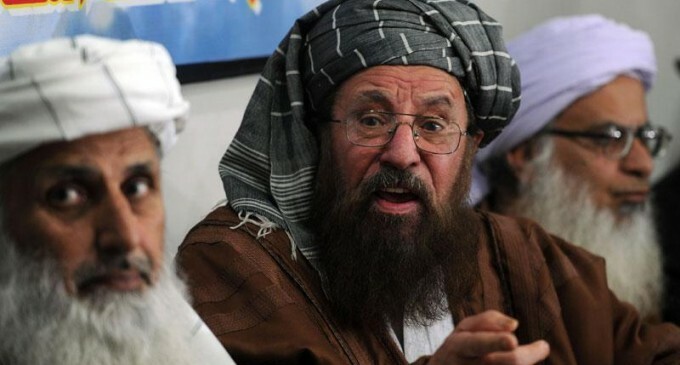 The Pakistani Taliban also use a combination of territorial control and flexible guerrilla tactics, which means that, while holding a swathe of territory, they can also send roving groups of guerrillas to secure areas further afield. On the other hand, the garrisoned Pakistani security forces have to fight for every inch of ground gained, and cannot emulate Taliban’s terror tactics. The Table also demonstrates that whenever the purely military side of the COIN regime was augmented, in the form of increased troop strength deployment, the levels of success tended to be better than when paramilitary outfits like FC were used. Arguably, the increased vigor of more recent operations like Rah e Rast indicates that the state is now more alive to this reality than it has been previously. Thus, so far, military operations have had more success in Pakistan, while there has never been a peace deal so far which has stemmed militancy in the longer run. As an example, Swat was cleared from the insurgency by the military operations, not by the peace deals negotiated with either Fazlullah or Sufi Muhammad. Public indicators also need to be comprehended as a driver of the COIN regime in Pakistan; increased public support for militancy ratchets up pressure on the state to start negotiating, and vice versa. When Taliban started gaining footholds in the country, they were more popular than they are now. Their popularity is now at all times low because of their indiscriminate terrorist tactics. Arguably, this has conversely helped the army to step up the intensity of their operations. This is borne out by polls: recent surveys found a progressively larger number of the Pakistani public turning against suicide bombing as well as terrorism of any kind. Pakistanis as a nation seem concerned about extremism affecting their lives, with 72 per cent decrying extremism in a 2008 survey: the highest response elicited across the board in eight Muslim countries surveyed at the same time. Only a tiny minority of the Pakistani sample population agreed with the Taliban discontinuing education for girls. A majority of Pakistanis supported the government on the issue of eradicating home-grown terror outfits, with 60 per cent of respondents in a Gallup poll holding the view that the government needed to take a tough stance against terrorism. Debatably, this sea-change in public opinion has facilitated the state’s stepping up the pace of operations. This can be seen through the congruence of COIN regime timelines in the matrix with the change of public opinion over the years. This underlying factor was helpful in ushering in the all-out military offensives Rah-e-Rast in Swat. In conclusion, it can be seen that there is not much support within the population for TTP, which is facing the brunt of military might of the state and American driven drone strikes. It is also obvious that military operations have been instrumental in stemming the tide of terrorism. The only recourse of terrorists seems to be to resort to asymmetrical warfare tactics like terrorism. However, that should not be taken as a plus in their favour, as there has never been a terrorist organization in the history of COIN that has gotten its demands accepted solely through terrorism. Thus, in this scenario, shouldn’t we give the idea of negotiations another thought? Note: The COIN impact column of the matrix is graded from ‘mild’ to ‘significant’ based on the news reports emanating from the region in the wake of operations or talks. Mild effects indicate temporary gains being made, with cessation of hostilities between the state and militants, but no effect on the continued militant entrenchment in the area. Moderate gains imply a more protracted cessation of hostilities (more than six months) and/or a temporary displacement of some (but not all, or even a majority) militants from the area in the wake of government operations, but they tended to re-establish their footholds in the area under consideration. Significant results mean that an area had been cleared and ‘held’, with militants forced to be on the run. In the ‘significant’ portion of the COIN impact column of the matrix, there has never been a peace deal which has stabilized an area in the form of complete cessation of activities by the militants.